•Siped, four-groove tread creates gripping surfaces that also evacuate water into the central grooves, away from the tire. •Symmetric tread pattern lowers rolling resistance reducing vibration, noise and fuel consumption. 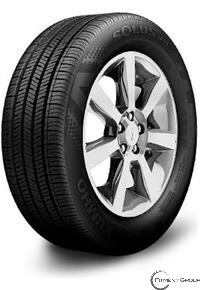 •Advanced dual compound provides exceptional comfort and steering response without sacrificing mileage. •Well-tailored to both economy and luxury cars.